Everything is true: God's an astronaut, Oz is over the rainbow, and CinemaSpection's where the podcasts live. 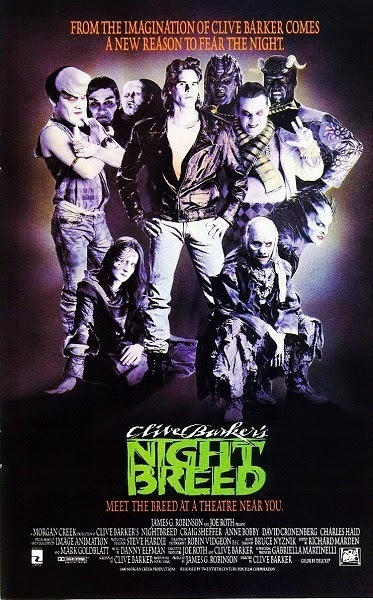 Corinne, Ellie, and Tim endure the bite that mocks death and venture beneath the necropolis to discuss the director's cut of Clive Barker's Nightbreed. Warning: Contains explicit language, spoilers, and graphic descriptions of pastry mutilation. Have any horror stories regarding your therapist's treatment strategy? Think The Law is unjust when it comes to meat consumption? Is there another face beneath yours that you feel the need to reveal? Leave a comment below and keep the discussion going.